The hull is designed by the Berret/Racoupeau tandem, has adopted space, light, all weather, all speed performances and great interior comfort. The Beneteau 343 benefits from the latest Beneteau innovations: pivoting wheel system, removable helmsman' seat and removable coaming. 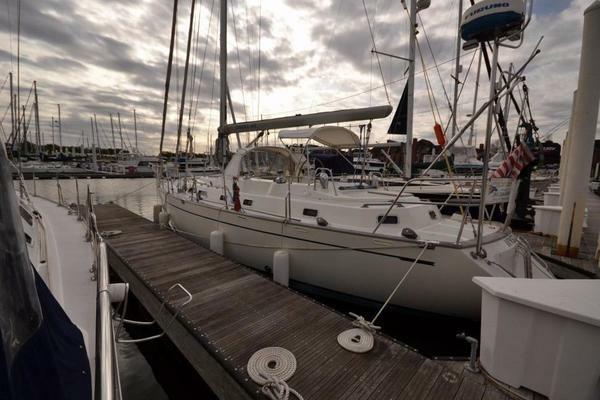 West Florida Yachts would love to guide you through a personal showing of this 34' Beneteau 343 2006. This yacht for sale is located in Pensacola, Florida and priced at $79,500. For a showing please contact us by filling out the form on this page and we will get back to you shortly!